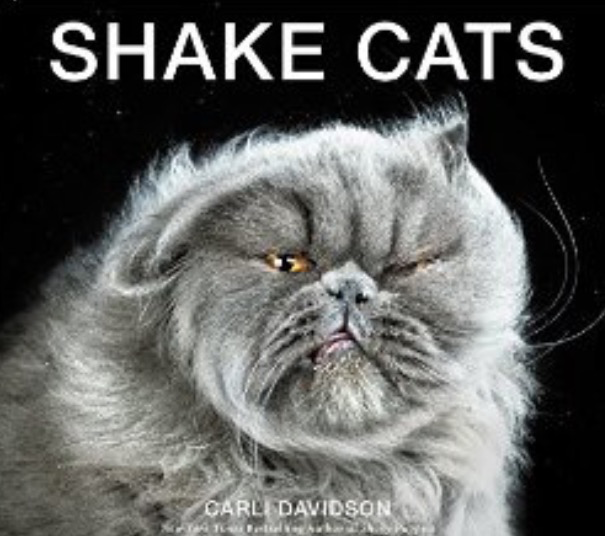 book review: But Who Will Bell the Cats? Title: But Who Will Bell the Cats? 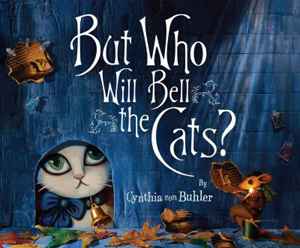 Performance artist/sculptor/ illustrator and children’s author Cynthia von Buhler dazzles with her engaging, ingenious and memorable book But Who Will Bell the Cats? Through painstaking detail, humor and whimsy, Cynthia captivates with the story of Mouse and his friend Brown Bat as they discover kindness winning over cunning. Each cat has its own personality as carefully drawn by Cynthia. As the Princess’s cats enjoy bubble baths, fine dining, and fluffy beds with perfumed pillows in the Upstairs quarters, Mouse and Brown Bat must sleep with a dirty sock as a blanket and survive on crumbs Downstairs. It’s the Upstairs/Downstairs of the creature community as these spoiled kitties take control of the house, especially when the sweet Princess is away. Mouse concocts a few schemes in order to bell the cats so that he and his friend can hear their approach: he makes armor and a sword and he dresses as a dog but the cats persistently torment him. The Princess arrives home to discover the cats in the middle of such toying behavior at an inopportune time and the cats are in for a surprise at dinner that night. But Who Will Bell the Cats? is a magnificent work of art that will be cherished and savored by children. Cynthia hand built rooms and sets for this story. She painted, sculpted, gardened and much more. She painted each character in oils on gessoed paper, cut out and then placed them in the sets. Cynthia then photographed the scenes for the book with a Nikon D300. See the sets here. The MiniArt Museum at The Nassau County Museum of Art in New York currently features Cynthia’s miniature sets and characters from But Who Will Bell the Cats? and her other book The Cat Who Wouldn’t Come Inside? [I knew this cat when Cynthia lived in Boston]. The solo exhibition runs through January 3, 2010. Cynthia von Buhler is an amazing and talented woman whom I met in Boston years ago [when we were both just young lasses!] and she ran a record label and managed bands like Splashdown, while working as an artist. I recently told her that I had a framed postcard of hers of a girl in a yellow dress with butterflies coming out of her shoulders. Her fascinating work makes you think. Beyond each brush stroke are endless ideas. Someday I hope to have something really cool of hers on my wall. She’s a feminist and an animal rights activist. She’s sweet, stylish and strong and someone that you definitely want to know. I attended wonderful, bizarre, magical parties at her house which is warm and unusual and extraordinarily visual. There’s a plethora of velvet, doves, sculptures, antiques, paintings, and cats running about. I vividly remember two pieces that I adore. One is a wheel that you look through while spinning and you see a woman aging in front of you. In the other, Cynthia has stuffed a wire mannequin with magazine clippings with all kinds of body image wording. Brilliant. She’s a star in whatever medium she touches. In addition to having written the story, Cynthia von Buhler was also the painter, sculptor, interior decorator, mason, gardener, and plumber of the sets. The rooms were built by hand from wood. The stone walls were formed from plaster. The floors are handmade from inlaid wood, mother-of-pearl, and plaster. The characters were painted in oils on gessoed paper, then cut out and placed in the sets. The scenes were photographed by Cynthia with a Nikon D300. The MiniArtMuseum at The Nassau County Museum of Art’s Mini Art Museum for Children in New York will be featuring these miniature sets and characters from But Who Will Bell the Cats? and The Cat Who Wouldn’t Come Inside in a solo exhibition from September 20, 2009 through January 3, 2010.